Her pride grows with her vegetables. The plants are becoming tall, green and healthy. Some reach above her covered head. They are Azra’s protection—a shield against hunger. Her husband is a fisherman and barely makes enough to feed her and their three children. So, you have taught her to garden. 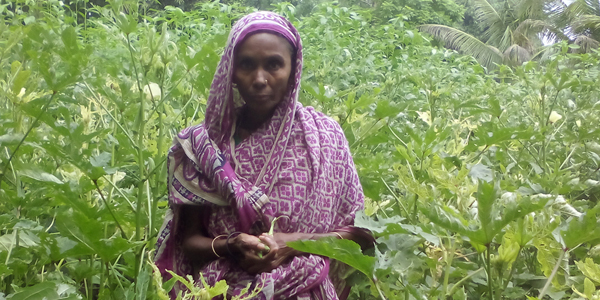 You have funded a program that has instructed her on planting and raising vegetables. You even have bought her seeds to get started. And now, here Azra stands—surrounded by her work. Pray for the person who plants the next garden you fund.